Let’s hear it for 112! We think this is brilliant and just wanted to make sure you knew about it too! There is now one emergency number to call when in any European Union country and the operator speaks English! 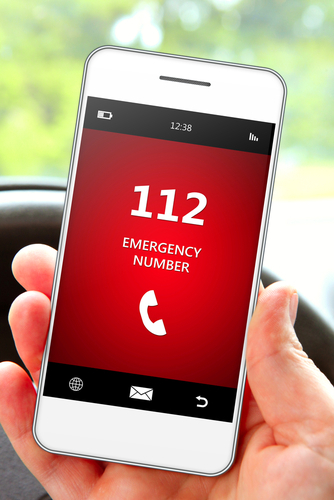 Whether you need the police, fire service or an ambulance you can dial 112 from any mobile or fixed line and they will send the relevant emergency service to you. Thankfully, emergencies involving these services are incredibly rare among our clients but it is great to know that you can summon help with ease if the worst happens. The European emergency number is 112 so make sure you know it if you are travelling in Europe. Don’t forget to bring a mobile phone that will work here too if you are travelling in a motorhome or campervan! ← Get a great view of French blossom from a campervan.